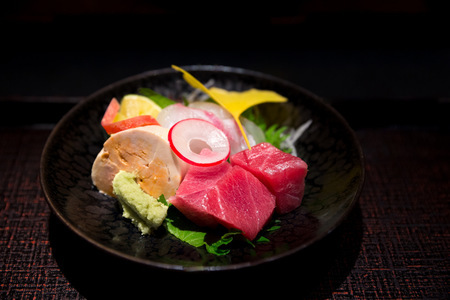 Kohada are one of the most traditional variety of sushi in authentic Edomae sushi. Kohada sushi tastes very flavorful and has a very rich umami flavors brought out by its preparation. 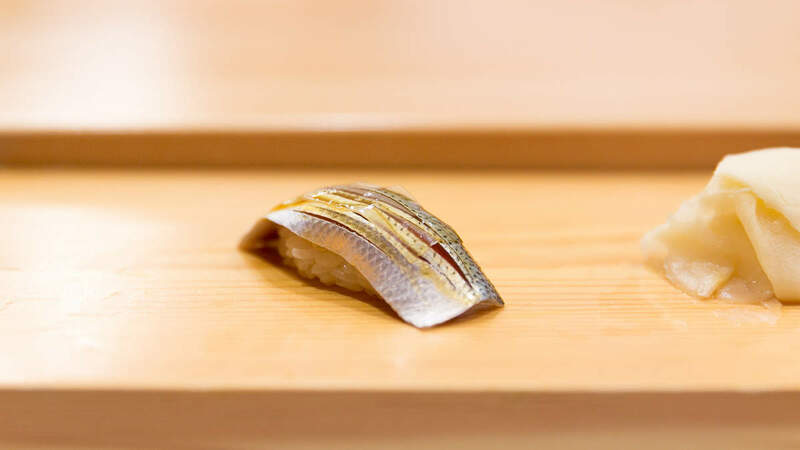 Sushi chefs will usually "pickle" the kohada by lightly salting them for about 20 minutes then marinating them in rice vinegar for 30-40 minutes. 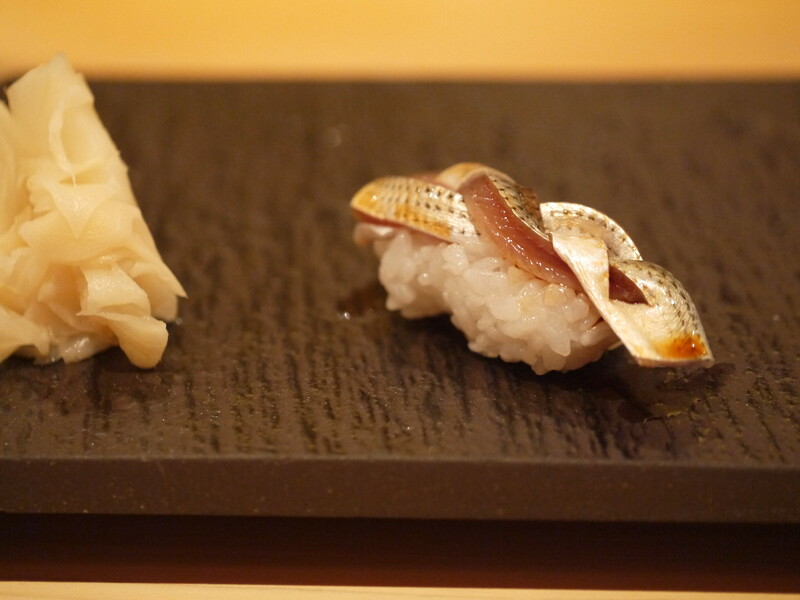 The fish tastes somewhat similar to very fresh sardines (iwashi) or less strong mackerel (saba). 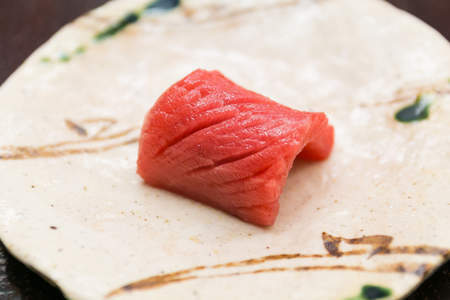 It is very common to top kohada sushi with oboro (crumpled shrimp paste) as a traditional Edomae preparation. 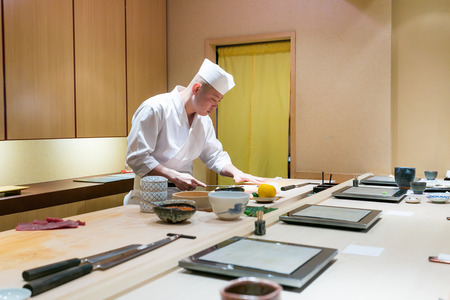 But many modern sushi chefs use a wide variety of toppings. Though larger fish can be available throughout the year, kohada are small fish with short lifespans. Kohada start to come into season when the colonies begin spawning in April and May. As the season moves into the Summer, they start to grow from shinko minnows into kohada most commonly served as sushi. They continue to be available as late as Autumn. To prepare kohada for sushi, first brush away any scales with the knife being careful not to damage the skin. Slice off the head and tail. Cut open the belly and remove any innards. Wedge your knife between the spine and the fish's back flesh and slice down the body to remove the spine. Then lay the body out flat and cut away any of the belly bones. 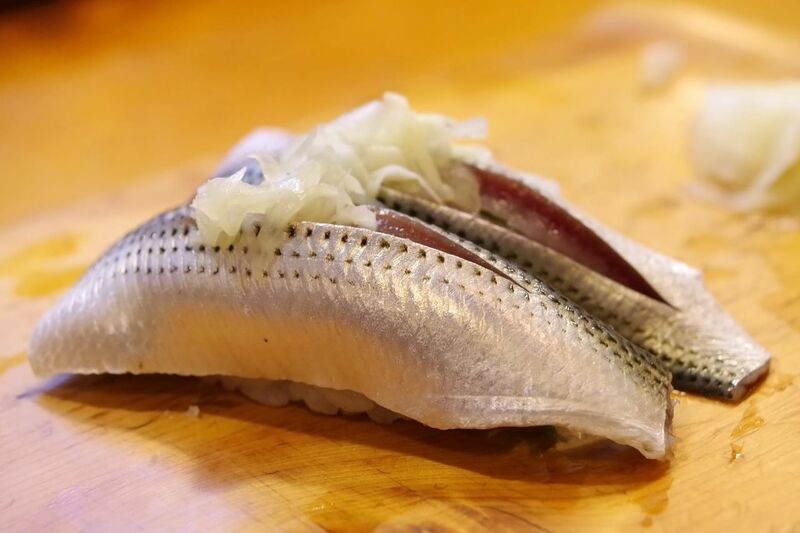 Sprinkle a layer of salt over the kohada bodies' flesh and leave it to draw out moisture for 20 minutes. 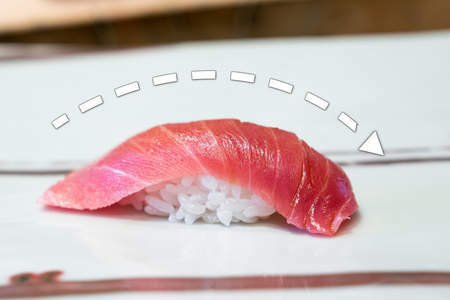 After being salted, wash the salt off the fish with rice vinegar. Then proceed to marinate the kohada in rice vinegar for 30 minutes. The kohada are now ready to be scored and made into nigiri. 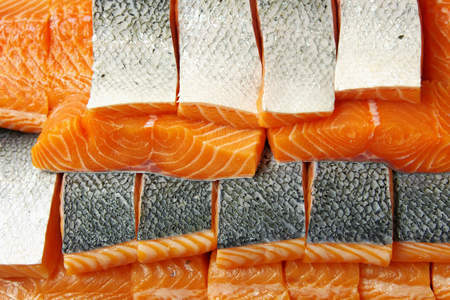 Many chefs use intricate cuts to showcase the silver skin of the fish, such as this cut which braids three strips together. Kohada fish are native to Japan so most shops should have reasonably-priced kohada or shinko sushi. Though you may have trouble finding them when they are out of season.